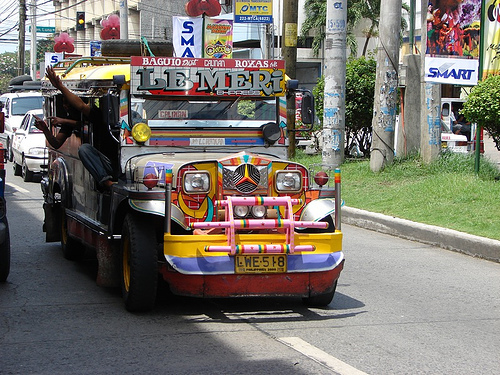 Jeepneys are the most popular and inexpensive modes of public transportation in the Philippines. 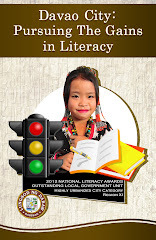 Not only has it been hailed as the "King of the Philippine Roads," but also regarded as a truly Filipino cultural icon. They are widely known for their colorful flamboyant decoration and practical utility. 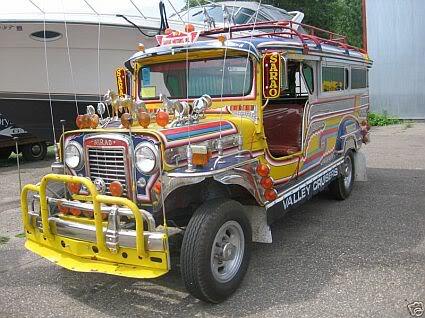 The word "jeepney" was derived from a combination of the words, "Jeep" and "Jitney." Jeep is a portmanteau of "General Purpose" or "Gee P". 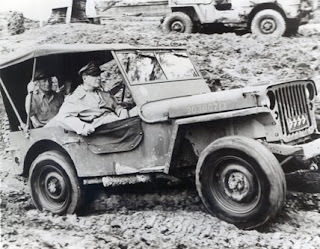 These are light utility vehicles that were built by Ford Motor Company of the United States specifically for all-terrain warfare and tactical use during World War II. Jeeps are generally short, relatively lighter than trucks and cars, unarmored with 4-wheel drive, and a short body overhangs for all-terrain mobility with at least 4 passenger capacity. The importance of this class of military vehicle was summed up by General Dwight Eisenhower who said that the four most important US weapons in World War II were the C-47 Skytrain, the bazooka, the jeep, and the atom bomb. Civilian adaptation of the Jeep is the first sport utility vehicle. A jitney, on the other hand, is a North American English term that originally referred to a "vehicle for hire" intermediate between a taxi and a bus. These are generally a small-capacity vehicles that follow a rough service route, but can go slightly out of its way to pick up and drop off passengers. 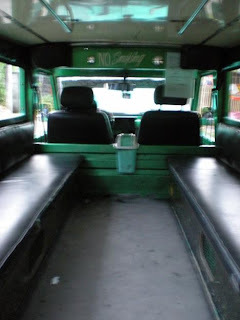 In the United States, the term "jitney" refers to an unlicensed taxi cab. The name comes from an archaic, colloquial term for a "five-cent" piece (the nickel) in the US. The common fare for the service when it first came into use was five cents, so the "five-cent cab" or "jitney cab" came to be known for the price charged. 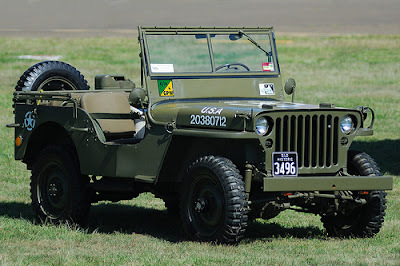 The Willys MB US Army Jeep of World War II is the most widely known vehicle of this class. Over 640,000 Jeeps were manufactured from 1941 to 1945. 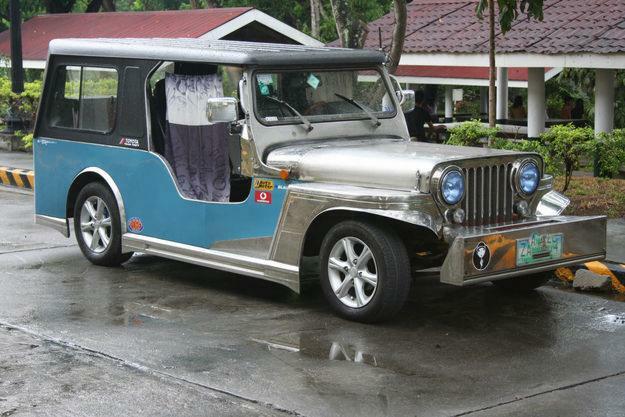 Hundreds of these Jeeps, popularly known in the Philippines as the "MacArthur Jeep", were left behind by American troops after World War II. These were either sold or freely given to the Filipinos and were widely used to augment the lack of transportation after the war. These were altered and customized to accommodate more passengers, added metal roofs, and decorated them with vibrant colors and bright chrome hood ornaments. 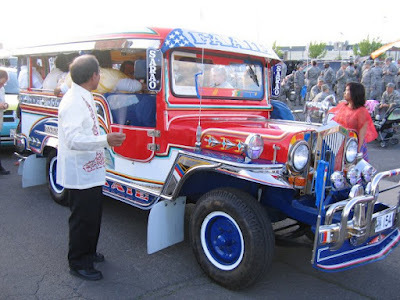 The rapid emergence of the Jeepney as a widespread and yet a necessary mode of transportation, had led the Philippine government the eventual regularization of its use as a public passenger vehicle. Drivers are now required of specialized licenses, with regular routes, at reasonably fixed fares. 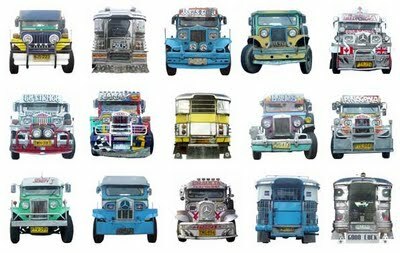 Today, Jeepneys are manufactured by local body builders from a combination of prefabricated materials and improvisation often with "surplus" Japanese SUVs or light truck diesel engines, transmissions, suspensions, and steering components. 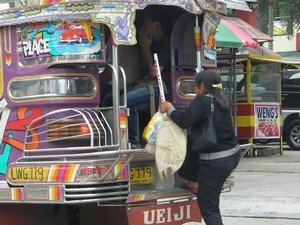 Jeepneys usually have open doors with hand railings at the rear where passengers can board and disembark. Inside the Jeep is a couple of long rows of bench type seats along the sides which can usually seat 16 or so passengers, and two more extra seats next to the driver. 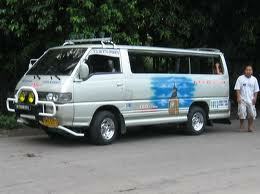 They are usually manned by two people: the driver, and the conductor who manages the passengers and collects the fare. 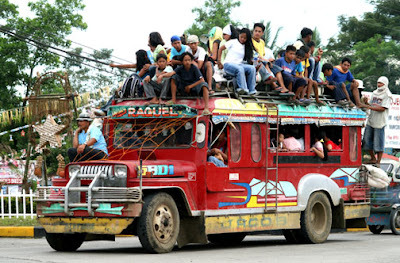 In the absence of a conductor, people seated closest to the driver are responsible for passing on the fare to the driver. At designated stops, a dispatcher, often called the "barker", is often present, calling out potential passengers for a particular route or destination. 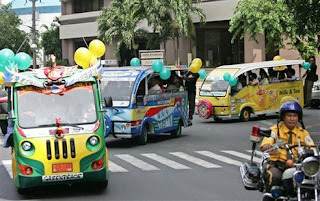 Jeepneys may be flagged down much like the taxis by holding out or waving an arm at the approaching vehicle. 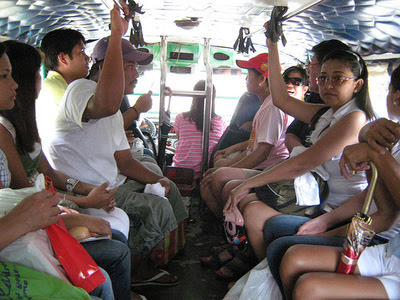 Because of the proximity of the passengers in jeepneys, certain etiquette is observed: jostling and shoving passengers is considered rude; elderly and women are always given preference in seating; children are allowed to ride for free if seated on the lap of the accompanying adult thereby not taking up seating space. 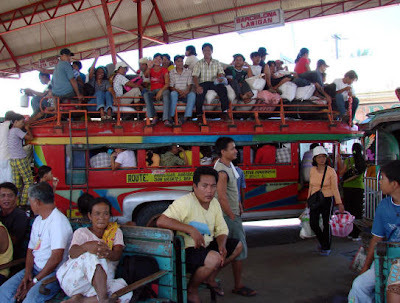 If the jeepney is in full capacity, male passengers usually cling on the outside hand railings, or as a common practise particularly in the remote areas of the provinces, sit on the roof. This practice, however, is highly dangerous and definitely illegal, and is, therefore, discouraged. 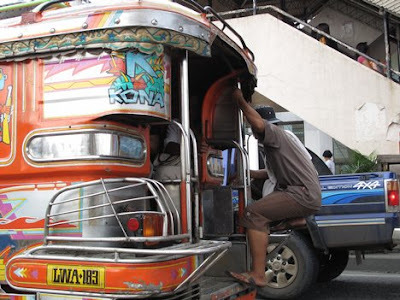 To stop the vehicle, passengers usually rap their knuckles on the roof the jeepney, or rap a coin on a metal handrail, or simply tell the driver to stop. Modern jeepneys often have buzzers to alert the driver of a disembarking passenger. 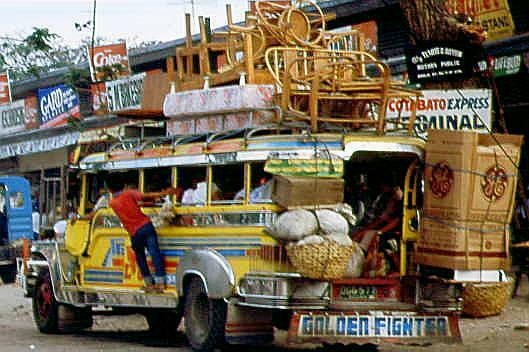 The start and end point of a route is a Jeepney terminal, where Jeepneys plying a particular route are filled with passengers one at a time, preferring only to leave the terminal when full, usually to more than comfortable capacity. In Davao City, the "Nelson Type" jeepneys, known as "uso-uso", are manufactured, whose designs are totally different from the conventional style. They feature modern front grilles and body designs, lowered ride height, and industrial quality paint jobs. 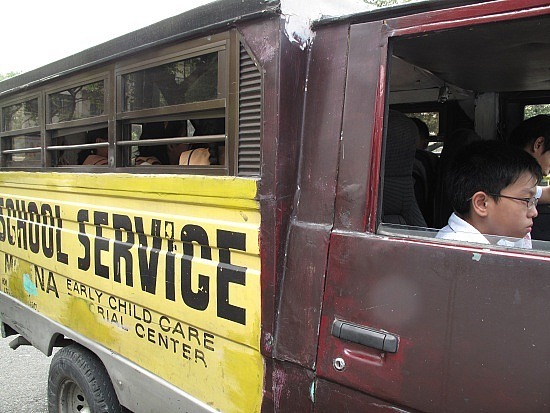 Newer models of Nelson type jeepneys are even chrome-plated, and use tubeless tires. 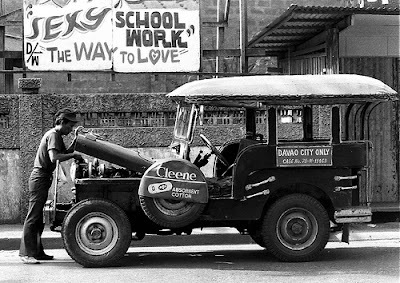 The jeepney industry has evolved much over the years since the jeepney was first used after the war. Today, many local builders are manufacturing more modern-looking jeepneys resembling AUVs, such as Honda CR-Vs, Hummer lookalikes, or an oversize Toyota van-style passenger jeepneys complete with Toyota headlights, hoods and bumpers. 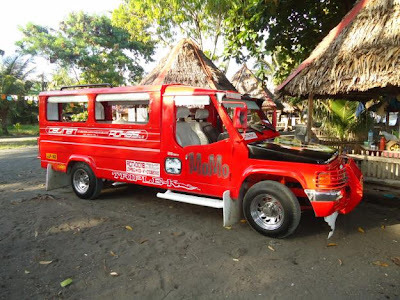 These new generation of jeepneys are usually equipped with high-powered sound systems, racing themes, and are now bigger and longer with more seating capacity, and some even have air-conditioning units. Currently, there are two classes of jeepney builders in the Philippines: the backyard builders which produce 1 to 5 jeepneys a month, and source their die-stamped materials from manufacturers, and work with surplus diesel engines and chassis from salvage yards; the other type is the large volume manufacturers which have 2 subgroups, namely: the PUJ, or "public utility jeep," and the large volume metal-stamping companies that supply parts as well as produce complete vehicles. Faced with increasing restrictions and regulations for pollution control, and high fuel costs, a limited number of locally built Electric jeepneys or "E-Jeepneys" are now being tested for commercial operation by the local city governments in some parts of the country, including Davao City, and some have already been plying various routes. Hailed as "The First Public Transport System Of Its Kind in South-East Asia," the concept was first introduced in response to environmental and economical concerns: reduced greenhouse gas emissions, and the rise in oil prices. E-Jeepneys are equipped with a 5 to 7 Kw, 72 to 84 volt electric motor, either with or without transmission, with front end hood and fender or none, side or rear entry and front-facing or center-facing rear seats. These can be charged by plugging into an electric socket, using power from biodegradable waste and can run a maximum speed of 40 kph, or a total of 120 kms on an 8-hour charge from an electric outlet. 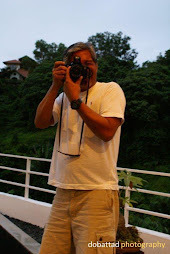 Visit to the Philippines will definitely not be complete without riding the King of the Philippine Roads. So that's why my granddad and grandma would always regard their jeep as an "Owner". I never really did understand why they called it that until now. OWNER type because its for private and PERSONAL use..